Pep Guardiola’s “magical touch” with players and methodical preparations meant his success at Manchester City came as no surprise to former Barcelona defender Dani Alves. The Premier League champions raised the bar last season, amassing a record points tally of 100, which was 19 clear of nearest rivals Manchester United, scoring more than a century of goals along the way. Alves was part of Guardiola’s all-conquering Barcelona team who secured the LaLiga title three times between 2008 and 2011, a domestic Copa del Rey double and also the Champions League twice. The 35-year-old Brazilian defender, now with Paris St Germain, where he continues to recover from a serious knee injury, revealed how Guardiola’s man-management skills helped create such a successful environment within the Nou Camp. “It was key for our success, not only for me as a person, but for all of us in a collective way. He knew how to treat us as human beings and that was very important,” Avles told Press Association Sport. Alves added: “When things went wrong, Pep always had the solution, he always had this magical touch which allowed us to improve. Asked if such a successful transition following a sabbatical to first Germany with Bayern Munich and then, in 2016, at City should have been expected, Alves said: “You are surprised when you are not prepared for a challenge. Alves looked back on his Barcelona career under Guardiola in ‘Take The Ball, Pass The Ball’, which documents how the side conquered both Spain and Europe, taking on the mantle of Johan Cruyff’s vision on the way the game should be played. “It was very special for me, all done in a more relaxed way, to see what you did and were part of, but also with a different point of view from when you were doing it all live,” said the right-back, signed from Sevilla in July 2008. During the closing comments in the film, Guardiola reflected on how his side would be viewed in 25 years time, compared to other great teams such as that of Cruyff’s Ajax, Brazil with Pele or AC Milan under Arrigo Sacchi. For Alves, the legacy of their Nou Camp team will always be “unique” – and one shared by across the world. 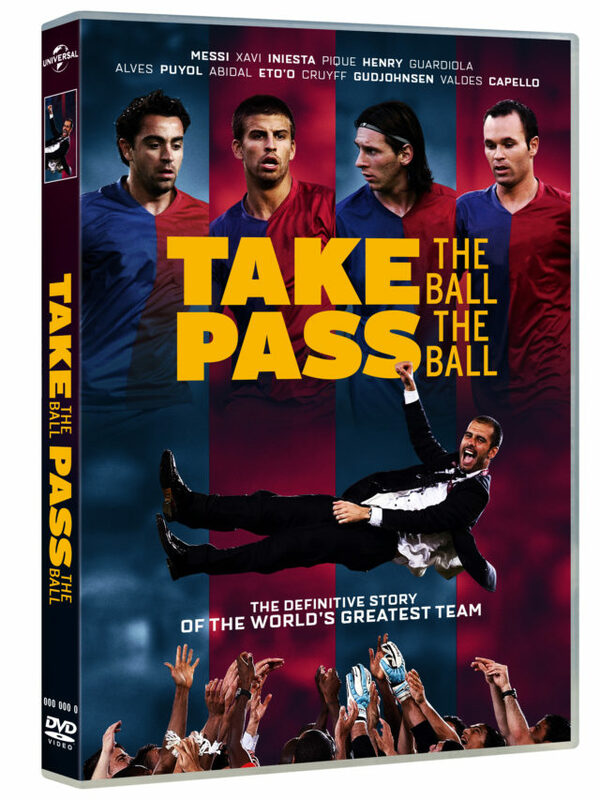 :: Take The Ball, Pass The Ball is available on DVD and digital download from November 12.